Lava Mae proposes what they call radical hospitality, providing showers and care for those living in a condition of homelessness, bringing dignity and hope to those trapped in the ever growing income divide of contemporary society. 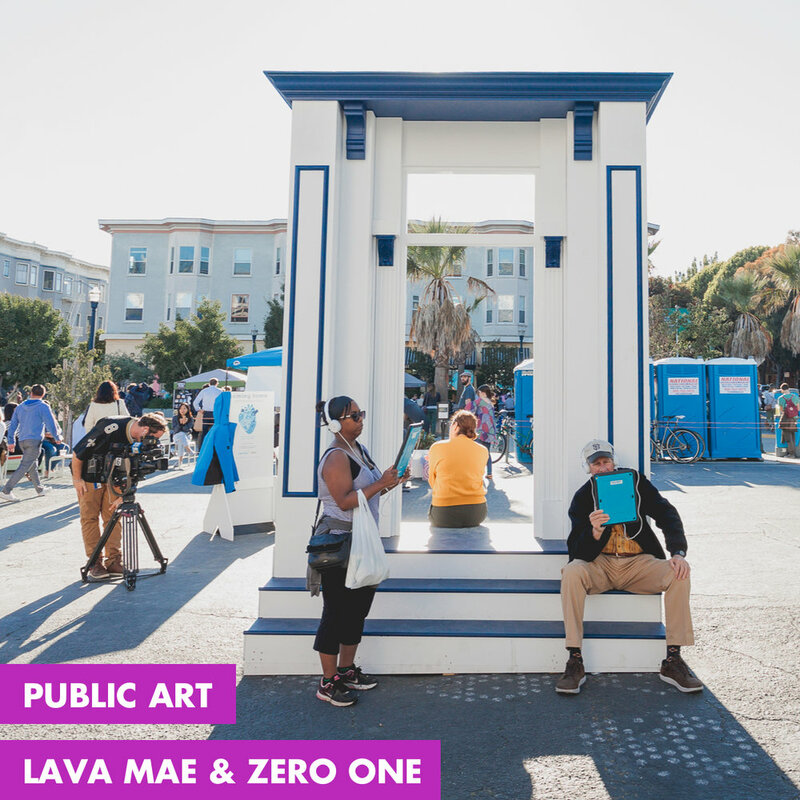 Believing that art would bring voice to their guests, Lava Mae and SOUND MADE PUBLIC developed a public art project called Coming Home, collaborating with an augmented reality artist and creating a physical presence that visitors could engage with in a public space. With over 30 personal interviews conducted with those living without a home or formally homeless, these intimate audio portraits offer a bridge to the sense of shared humanity that can be so missing in our day to day interaction with the world around us. Coming Home garnered international press coverage and has continued its impact in prominent gallery spaces and other public places.